Tips and tricks for Firefox are extremely useful when navigating the Internet. Shortcuts can save time and bookmarks are great for remembering important sites. Firefox is a great choice to have as a web browser. It has good popup blockers and phishing detectors. The tips and tricks below can help any user regardless of experience. Zoom: Zooming in and out is a great tool for users with poor vision. Simply hold the “CTRL” button on the keyboard and scroll in or out using the mouse wheel. Bookmarks: Bookmarks are very useful for any user. Creating bookmarks is easy in Firefox. The fastest way to bookmark is to click the star icon in the address bar. This creates a bookmark of the webpage currently being viewed. Add-ons: Firefox comes with a few useful add-ons but there are over 5,000 available. Customize Firefox using this tip. Click on “Tools” then select Add-ons. The add-on manager will launch and present all the available options. Search box: The search box to the left of the address bar is a great tool for searching without opening a new page. Customize which search engine is used by clicking on the icon to the left of the search bar. Downloads: Users that download many files daily will benefit greatly from using the download manager in Firefox. To access the download manager simply click on “Tools” and select “Downloads.” The download manager will appear and show recent downloads. Another Firefox tip is to use the search box within the download manager. This will allow users to search all past downloads and locate the sites from which a file was downloaded from. Firefox tips are great for saving time and system resources. Users that take advantage of Firefox tricks will navigate the web with ease and be confident when opening their browser securely. 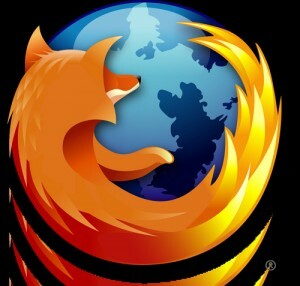 Tips and tricks for Firefox can be learned by any user and are useful in almost every situation.